Would You Prescribe To Mental Health Wearables To Keep Your Mind Fit & Issues-Free? In a recent article, BOF explores the impact creative industries have on the mental well-being of employees and employers alike. The culture of work hard, play hard in fashion industry only amplifies the adverse outcomes among artists. Leaving the question open: does the industry create individuals with issues? As a person, who occasionally blogs and runs a fashion tech startup I struggle with many tasks during my workday. That builds up a pressure which for me results in mood swings that change without notice. At certain times, we all dream of a switch button that can make stress and all issues go away. 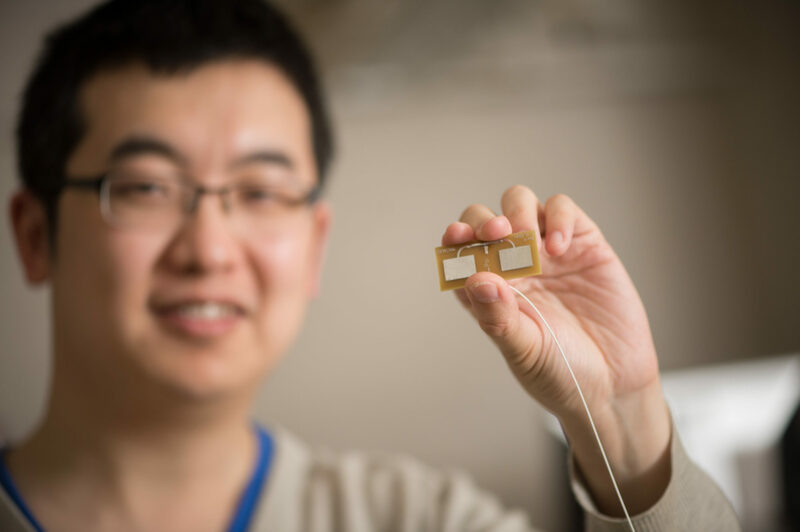 Mi Zhang displays a prototype of new wearable technology known as HeadScan designed to monitor a person’s eating, drinking, coughing and even social habits, so a health care provider can treat someone dealing with obesity, diabetes, asthma or even depression. | Photo Credit by G.L. Kohuth. Which leaves me to wonder, what mental health wearables are out there, that can help me stay productive and keep my mind fit? In order to answer this question fashion had to take a back seat so I could solely concentrate on functionality. After much research, I found two kinds, Breathe Tracking Wearables and Brain Activity Wearables. Spire is packed with sensors that monitor your breathing and track activity. It clips onto your clothes and looks like a sustainable piece of fashion jewelry, with its faux-wood-grain trim and a silver metal clip on the back. The application has a guided meditation feature and gives tips how to relax when it senses tension. Also, Spire is Android and iPhone compatible. Based on a similar to Spire, Prana tracks your breathing and your posture. The Posture feature can be especially valuable for desk-bound workers. The application offers an extensive library of breathing exercises and techniques. Prada clips to your waistband and tracks chest movement and then gives tips on how to improve your technique. 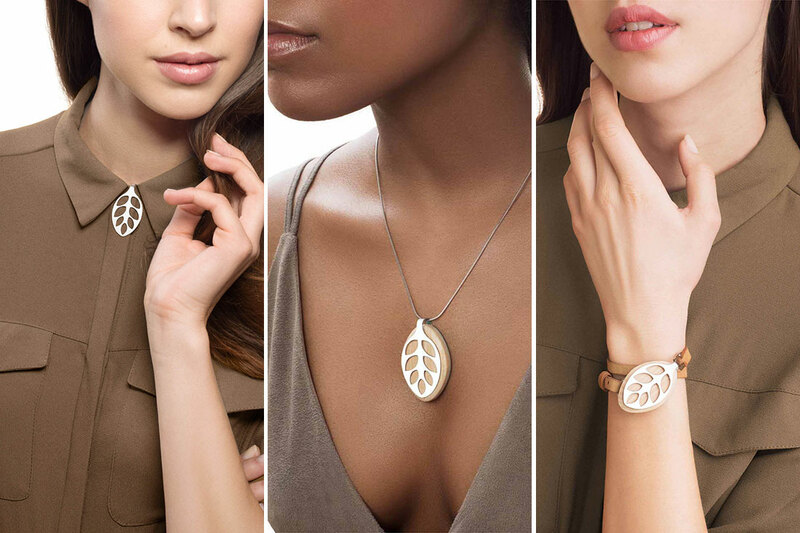 Bellabeat Leaf looks like a stand alone fashion tech accessory. It monitors steps, sleep, and ovulation. By default, you have to wear it on the waist to track your breathing during exercises. A personal coach guides you through 10-minute meditation exercises. LEAF offers it’s smart jewelry in different finishes from white ash wood and stainless steel to African Blackwood, oak and rose gold plating. Fortunately, there is another kind of mental health wearables and they are wearables that sense the electrical activity inside a person’s brain. The technology is widely used in scientific studies by neurologists. The brain electrical activity allows detecting early signs of abnormalities, such as seizures and other disorders. Thync’s Vibe is a triangle-shaped device that sits on your forehead and uses ultrasound technology to boost your energy and lower stress. Some say it can even replace morning cup of espresso. Founders have big hopes on the Fitness market as this device can help athletes stay more focused to achieve better results. It looks in the best traditions of sci-fi movies that guarantee you will be a center of attention wherever you go. Personally, I feel excited to have a non-invasive tweak to brain’s productivity to get things done during the day, without having to pump myself with caffeine. Thync sell replaceable energy and calm adhesive strips separately, or you can just subscribe and receive an unlimited pack for a monthly fee. 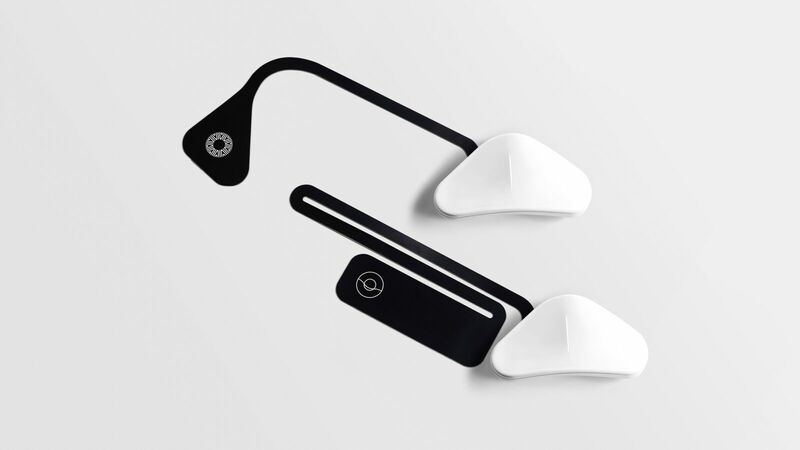 Muse is a headband that measures your brain activity in real time and helps to calm in stressed moments. It teaches how to train better after you are completing the breathing exercises to the sound of nature. Muse gives you feedback to make your “monkey mind” less active. Muse is fundamentally different to Thync which activates and alters brain cells to make you feel energized or calm without any substances. Muse has different ‘difficulty’ levels and length of exercises, so it will be equally useful to people with little experience. In overall, Muse is a perfect gadget for the meditation lover to reach new levels of mastery.